Datacom Group increased revenue by 9.3 per cent to NZ$1.27 billion for the financial year ended 31 March 2018, but group profit after tax for the year was NZ$23.5 million, down from $43.7 million last year. The Auckland-based technology provider said it has now logged 20 years of continuous revenue growth. Over the past ten years the business has more than doubled revenue, with a compound annual growth rate (CAGR) of 8.5 per cent. From a regional perspective, Datacom boosted revenue 8.8 per cent in Australia and Asia, and 9.8 per cent in New Zealand, with key customer wins including the Department of Home Affairs in Australia, and Auckland Airport, NZ Lotteries Commission and Vector Energy in New Zealand. Datacom also embarked on major new projects with existing customers such as Transport for NSW, The Department of Premier and Cabinet in Queensland, and the Accident Compensation Corporation (ACC) in Wellington. "Datacom’s strategy and new organisational structure positions us well to meet current and future client needs, as well as future growth across all markets," said Greg Davidson, CEO of Datacom. "We’re confident in our ability to capitalise on strategic growth areas such as cybersecurity and customer experience, and our ability to deliver high value solutions consistently to our customers." Capital expenditure increased by 53 per cent over 2017 to NZ$55.4 million, and operating expenditure on major investments increased by 35 per cent to NZ$19.1 million. According to a company statement, the increased investment was to support an ongoing strategy to grow capabilities and a global footprint, in addition to supporting the creation of new lines of business and solutions utilising Datacom’s own intellectual property. 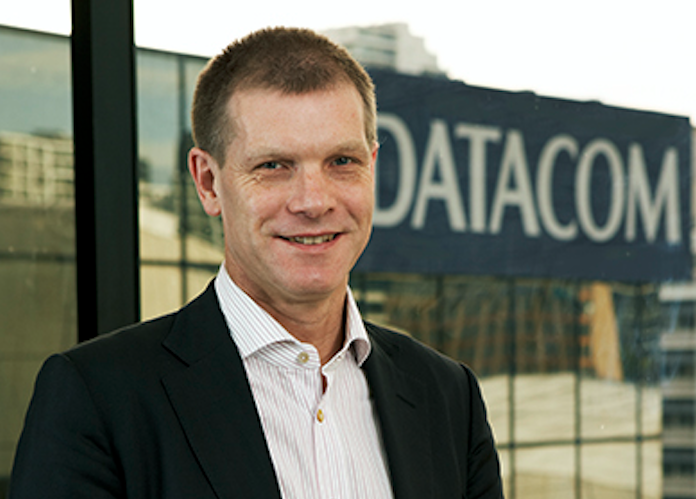 Datacom also opened new offices in Auckland, Adelaide, Singapore and formed a new partnership with Australian data centre provider, AirTrunk. Furthermore, the Datacom Systems business continued to generate the largest percentage of revenue, particularly through projects based around IT managed services, third party products and licensing, and custom software development. Data centres, networks, and public cloud consultation and implementation projects continued to perform strongly, it said, while its own hybrid cloud solution, DCS, continued to grow and received significant investment into Datacom’s new Azure Stack solution. Employee numbers increased to 5,332, up 9.3 per cent from 2017.